Collection exerpts from: "Relics of Katrina," "Bayou Délirant," and "Nola Indigenous Icons"
Artist Allen B. Smith represents an entire culture washed away by floodwaters that rushed across New Orleans, the birthplace of Jazz and blues. 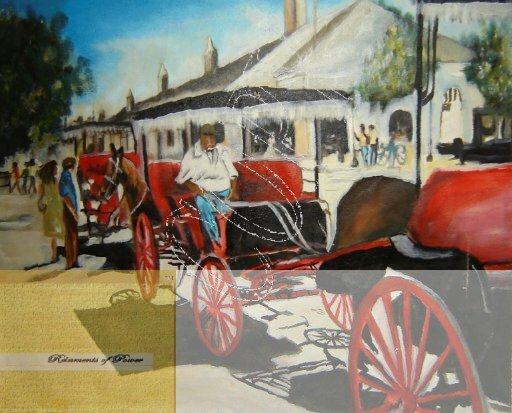 The “Big Easy” was introduced to something only the soulful paint stroke of Allen’s brush was immune to: “Change.” The ethos of Smith’s muse, the Mardi Gras Indians, had succumbed to the historic force of Hurricane Katrina and Rita. Smith rescued 60 victims during the storm while his life’s work washed in ruin behind him. 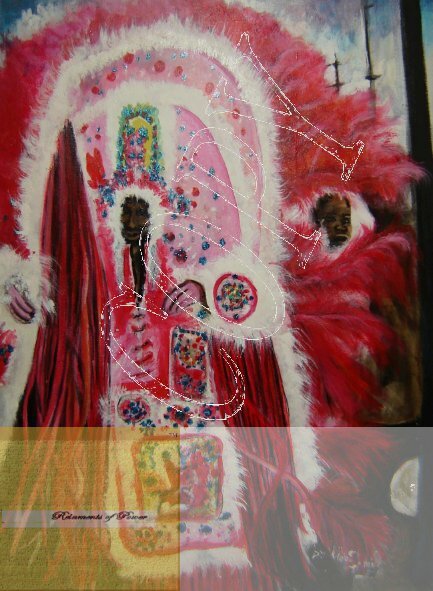 The Vietnam Veteran, said to have painted even admidst war to preserve focus, developed a dark edge during this time as proven on the canvas of “Freedominant.” Yet, light shone bright in the masterful strokes of Indian rallies as captured in “Indian Décrire.” These African American Tribes made a “new suit” to face off every carnival while Smith peeped as a boy beneath the trumpet and drum of marching bands. 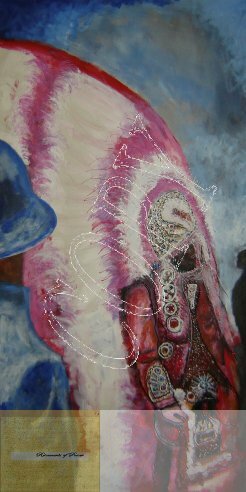 Smith’s awe reflects in acrylic and oil upon canvas when raising feathers and circling beads masterfully with his brush focused on a type of costume detailed to shame that of an Elizabethan Bride. Volunteers from all walks of life witnessed the disastrous aftermath of the hurricane. As they probed through the rubble they captured hope glimmering in a few precious miracles buried by the wreckage. Smith accepted all he could in Brooklyn at his small safe-haven after being rescued as months became years and art became faith. A portrait of an escaped African slave washed ashore haunts the corners now, afro and cuffs rendered in acrylic tears over weathered canvas in the aforementioned "Freedominant". Each rescued piece is a part of history to remind us of what happened on August 29th, 2005 echoed by Hurricanes that still rage through the Gulf of Mexico.